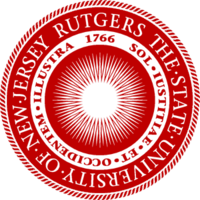 Rutgers was designated The State University of New Jersey by acts of the New Jersey Legislature in 1945 and 1956. The campuses of Rutgers are located in New Brunswick and Piscataway, Newark and Camden. The Newark campus was formerly the University of Newark, which merged into the Rutgers system in 1946, and the Camden campus was created in 1950 from the College of South Jersey. Rutgers is the largest university within New Jersey's state university system, and it was ranked 54th in the world academically in a 2008 survey conducted by the Institute of Higher Education at Shanghai Jiao Tong University. The university offers more than 100 distinct bachelor, 100 master, and 80 doctoral and professional degree programs across 175 academic departments, 29 degree-granting schools and colleges, 16 of which offer graduate programs of study. Chartered in 1766 as Queen’s College, the nation’s eighth institution of higher learning, Rutgers is one of only nine colonial colleges established before the American Revolution. Soon after opening in New Brunswick in 1771—with one instructor and a handful of students—the college was caught up in the struggle for independence. During the war, classes were suspended on several occasions as students, faculty, and alumni joined the fight for freedom. That revolutionary legacy is preserved today in the university’s name; in 1825, Queen’s College became Rutgers College to honor trustee and Revolutionary War veteran Colonel Henry Rutgers. By the mid-19th century, the Industrial Revolution had brought sweeping change to America—and to the liberal arts tradition in higher education. An act of Congress established a system of state land-grant colleges to train students in the mechanical arts and agriculture. In 1864, Rutgers prevailed over Princeton to become the state’s land-grant college, an event that led to Rutgers’ emergence as a modern institution of higher learning. In 1880, the New Jersey Agricultural Experiment Station was established to bring scientific rigor to farming practices. Over the next several decades, Rutgers began offering graduate studies and expanded its offerings in the sciences, including pharmaceutical (1892) and engineering (1914) programs. In 1921, the College of Agriculture (later Cook College and now the School of Environmental and Biological Sciences) was founded. In 1924, Rutgers College officially became Rutgers University, a reflection of the institution’s rapidly expanding number of schools and academic programs. Early in the century, Rutgers had begun offering educational opportunities to women when the New Jersey College for Women (later Douglass College) was founded in 1918, and to adult learners when University College was established in 1934. After World War II, enrollment exploded as Rutgers admitted all qualified candidates under the GI Bill. Rutgers was becoming an institution for all people, and in 1945 and 1956, state legislative acts formally designated Rutgers as The State University of New Jersey. A flurry of expansion ensued. The University of Newark (now Rutgers–Newark) joined Rutgers in 1946, followed by the College of South Jersey (now Rutgers–Camden) in 1950. An ambitious building program added libraries, classrooms, and student housing across the three regional campuses. In 1969, Livingston College opened, providing a coeducational residential experience with a special commitment to diversity. Graduate education in the arts and sciences grew through the establishment of the Graduate School–New Brunswick, the Graduate School–Newark, and the Graduate School–Camden. Professional schools were formed to serve students in the fields of business; communication, information, and library studies; criminal justice; education; fine arts; law; management and labor relations; nursing; planning and public policy; psychology; public affairs and administration; and social work. Meanwhile, as industry and government sought partners in solving problems and advancing knowledge, the concept of the research university emerged. In 1981, Rutgers adopted a blueprint for its transformation into a major public research university. With increased support from state, federal, and corporate partners, Rutgers’ strength in research grew dramatically. 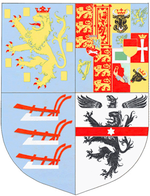 In 1989, in recognition of its enhanced stature, Rutgers was invited to join the prestigious Association of American Universities, an organization comprising the top 62 research universities in North America. Today, professors and students work in more than 180 specialized research centers, unraveling mysteries in marine sciences, early childhood education, neuroscience, advanced materials, climate change, nutrition, homeland security, transportation, stem cells, and many other areas that can improve life both in New Jersey and around the world. A 2007 major reorganization of undergraduate education in New Brunswick reinvigorated the undergraduate experience for both students and faculty by combining the traditions and strengths of four undergraduate liberal arts colleges—Douglass, Livingston, Rutgers, and University—into a single School of Arts and Sciences. With 27 schools and colleges, Rutgers offers over 100 undergraduate majors and more than 100 graduate and professional degree programs. The university graduates more than 10,000 students each year, and has more than 350,000 living alumni residing in all 50 states and on six continents. Rutgers also sponsors community initiatives in all 21 New Jersey counties. Universitywide, new degree programs, research endeavors, and community outreach are in development to meet the demands of the 21st century.